Alfred A. “Al” LaSorte is a partner in the West Palm Beach office of Shutts & Bowen LLP, where he is a member of the Business Litigation Practice Group. Al is Florida Bar Board Certified in Business Litigation. He has been listed in Best Lawyers in America®, Florida Trend’s Florida Legal Elite and Florida Super Lawyers, and he is a Fellow in Litigation Counsel of America, an invitation-only trial lawyer honorary society, limited to less than one-half of 1% of American lawyers. He was also named “Lawyer of the Year” in 2016 by Best Lawyers®. With over 35 years’ experience in real estate and commercial litigation, Al’s expertise ranges from broad commercial disputes to niche practices in title insurance litigation and foreclosure of large commercial loans. His experience as lead counsel in over 100 jury and non-jury trials and as a former prosecutor in the Fifteenth Judicial Circuit, combined with his knowledge of substantive real estate law, afford him a unique vantage point from which to counsel his clients, whether they are lending institutions, business or real property owners, or title insurers. Al counsels clients on commercial disputes, real estate litigation, foreclosure and title insurance matters. He represents clients concerning large, complex commercial foreclosure actions, title encumbrances and other legal disputes both in and out of court. He is one of a few Florida litigators with a focus on real estate title and encumbrance issues. Al has been retained as an expert witness in numerous commercial and real estate cases and has been court-appointed as special master and as receiver. He has also been called upon to sit as mediator in more than 180 business and real estate litigation matters. For the past 14 years, Al has been selected by the Florida Bar to present the mortgage foreclosure seminar at the annual Florida Bar Real Estate Certification Review Course in Orlando. He frequently speaks at seminars across the state on advanced topics concerning real estate litigation, including the Attorneys Title Fund Assembly in Orlando and the University of Miami’s Annual Ralph E. Boyer Institute on Real Property Law. 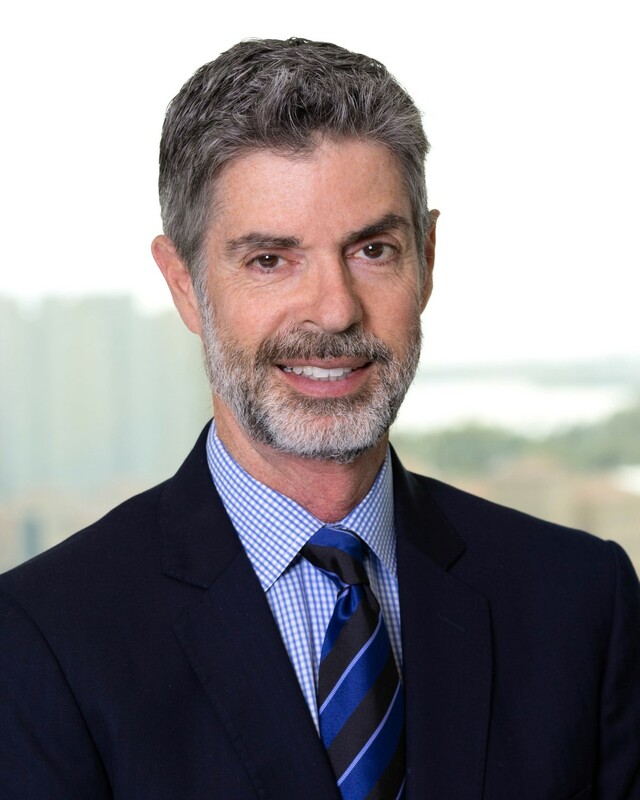 He’s a member of the Palm Beach County Bar Association and the Florida Land Title Association and a former member and past chair of the Florida Bar Business Litigation Certification Committee and the 15th Judicial Circuit Professionalism Council. Al has held leadership positions with various community organizations for many years. He’s a former member of the Board of Directors of the Friends of the West Palm Beach Public Library. An avid amateur astronomer, Al’s library lectures on “Galileo” have been among the library’s best attended events. Al also founded and chaired for four years the American Heart Association’s annual Palm Beach County “Lawyers Have Heart 5K Run,” which raised more than $250,000 for the American Heart Association. He’s a former member of the Executive Cabinet for the American Heart Association’s annual Heart Walk. Al is also actively involved with Kenya Relief, an American charitable organization responsible for operating a health clinic, school and orphanage in a remote part of Kenya. He has travelled to Kenya to personally supervise Shutts & Bowen’s donation of dozens of computers and internet access equipment for the school and clinic. In his “spare time,” Al is also a certified track driving instructor. He regularly teaches sports car owners in the art of high-speed track driving during Porsche Club of America and Ferrari Club of America events at Florida race tracks including Sebring International Raceway and Daytona International Speedway.